However, much of the Church in the West does not exactly ‘have the mind of Christ’ (1 Corinthians 2:16). Instead, many church members have fallen for the trap of ‘don’t mix religion and politics/science’.3 That is, rather than Christians having the mind of Christ all the time, this is reserved for Church; the rest of the week, their thinking (outside the areas of faith and morality) is hard to distinguish from that of atheists. The result has not been removal of religion, but the replacement of the Christian religion with the atheistic one. And more and more, atheists are trying to remove all Christian influence from the public eye. How can this be fought? By Christians realizing that the Christian mind and the non-Christian mind think about foundational things in diametrically opposed ways, or have different ‘worldviews’. 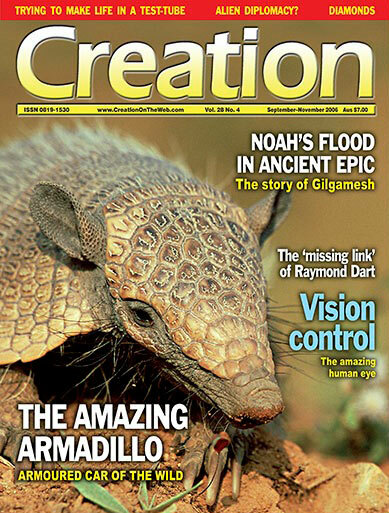 While this term can be a cliché, Creation magazine has always been designed to strengthen the Christian worldview. And this means being ready to ‘give an answer to everyone who asks you to give the reason for the hope that you have’ (1 Peter 3:15) and to ‘destroy arguments and every lofty opinion raised against the knowledge of God, and take every thought captive to obey Christ’ (2 Corinthians 10:5). In this issue, we have an interview with a leading expert on the Christian worldview, philosopher Dr Darrell Fur­gason (pp. 52–55). Even while the media elite were infatuated with the brutal atheistic Soviet Union , Dr Furgason was astute enough to identify Islam as an even bigger danger. 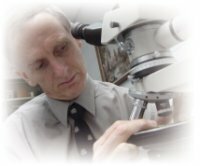 Our other interview is with brain expert Dr Peter Line (pp. 20–25), who informs us of the incredible complexity of the organ in our skulls. This is crucial in the battle of the minds, since it concerns whether a mind can even exist! That is, if our thoughts were merely the accidental by-product of the movement of atoms in our brains, then that would be true of the thoughts of atheists as well. But then their thoughts about atheism would also be the result of random motions of atoms, so why should anyone trust them to be true? Evolution would select for survival advantage, not truth. A well-equipped Christian mind should also be prepared to answer the challenges of the day. Every issue of Creation magazine stays up-to-date in this way. For example, ‘radiocarbon dating disproves the biblical timescale’; no, it is rather a mortal enemy of billions of years (pp. 26–27). ‘Experiments have shown how life could have formed itself’; see how real chemistry refutes this pipe-dream (pp. 41–43). ‘Genesis comes from pagan myths’; see how the design of the Ark points to Genesis as the origin and the myths as the distortion (pp. 12–17). Conversely, we point out the tragic losses to the Church from those who never had a Christian mind despite a church upbringing, e.g. Raymond Dart, who wrongly thought that he had found the ‘missing link’ (pp. 36–40). We invite you to read and circulate Creation magazine widely, and help build Christian minds in over 100 countries. Stark, R., The Victory of Reason: How Christianity Led to Freedom, Capitalism, and Western Success, Random House, New York, 2005; see review by Weinberger, L., Journal of Creation 20(3), 2006. Return to text. Sarfati, J., Loving God with all your mind: Logic and creation, Journal of Creation 12(2):142–151, 1998. Return to text. Harvesting real fruit: Creation magazine talks to plant scientist Don Batten, Creation 25(2):19–21, 2003. Return to text.